ISR and Function Loops team up to deliver a set of smooth Vocal Production Kits for any modern electronic music producer. Looking for a singer with pipes of gold? 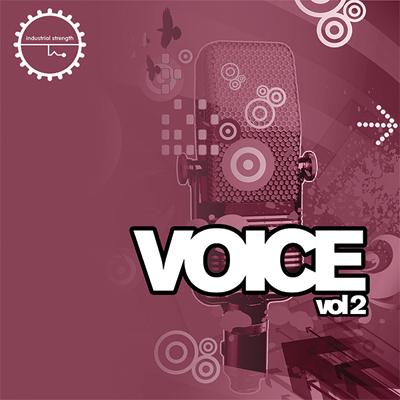 Voice 2 answers the call with a massive array of male and female vocal samples. Especially primed for full-on EDM, this follow-up pack is loaded with the tools you need to create vocal additions in any style. Voice 2 pushes the collection forward with 11 Studio Production Kits hand-selected by Twisted Reaction and Lenny Dee. This exclusive bundle can only found at Loopmasters.com. Each kit contains both mixed and unmixed Vocal stems, MIDI files, Drum loops, and Music loops. These 24-bit, 44.1 KHz sounds are delivered in Wav and Apple Loops formats. All samples are clearly labeled and tempo-keyed for instant easy use in any Daw or sampler. These license-free kits are ready to twist and mash up, so you can create straight from your imagination and boost new tracks through the roof. Voice 2 features a total of 9 Female and 2 Male Vocal Production Kits in the main pack; or choose the kits you like individually. We don't mess around when it comes to options—mix-n-match kits enable you to build limitless vocal possibilities. This monster pack is ready for any production skill set. For anyone fresh on the scene, these kits provide a great source to improve your production work by handling Vocals, MIDI files, Mixing and Arranging. For you vets, each kits offers what you need to get down to business in the studio. Grab this pack, hoist the Voice and set song to the wind.